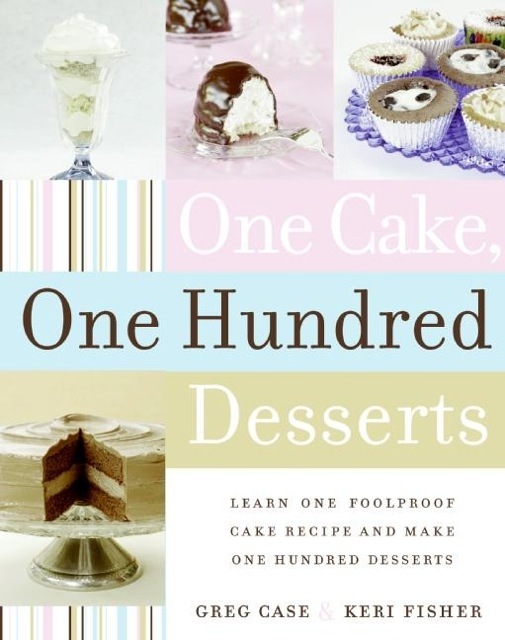 With One Cake, One Hundred Desserts, master just one basic cake recipe and you'll be able to turn out 100 other desserts simply by adding a pinch of this or a dash of that. The basic cake is easy. While the rich golden vanilla flavor is scrumptious on its own, with nothing more than a sprinkle of powdered sugar, why stop there? The same recipe can be transformed into gooey, guilty-pleasure favorites, such as Peanut Butter and Jelly Upside-Down Cake, Root Beer Float Ice Cream Cake, or Milk Chocolate Mousse Cake. The basic recipe can also be turned into other show-stopping desserts, from cookies and brownies to pies, puddings, and petits fours. Whip up delectable treats like Banana Cream Roulade, Orange Vanilla Baked Alaska, Double Chocolate Mousse Bombe, and Butterscotch Madeleines. One Cake, One Hundred Desserts has the perfect recipe for every occasion. Baking is now a piece of cake!